For Issue #2 of The Still Point Journal, we ask contributors to imagine that their submissions are part of a collective Researcher’s Notebook in both a literal, and a broader, metaphorical sense. 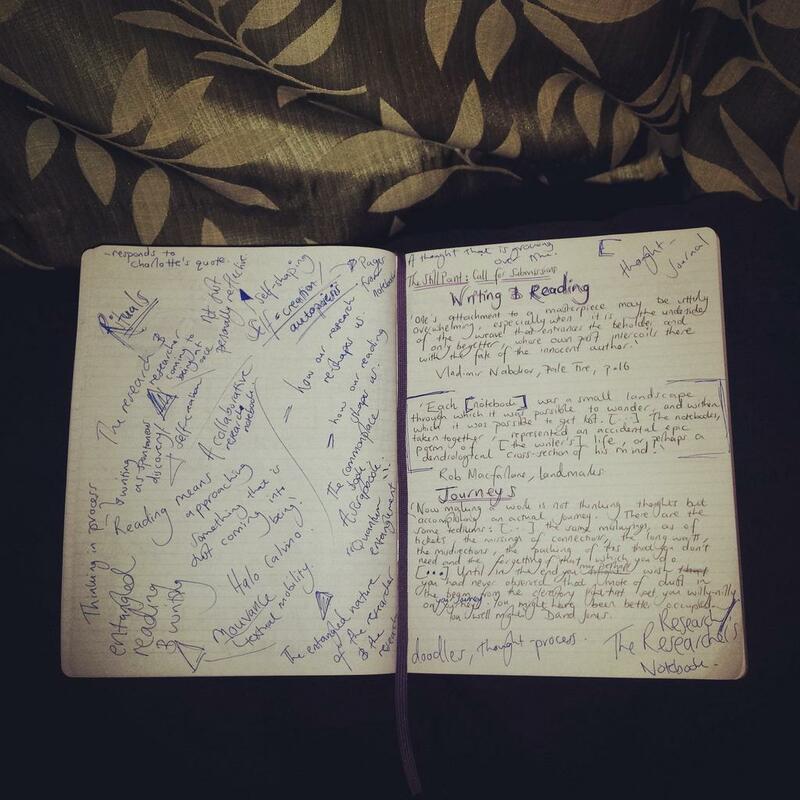 We want to explore the idea of the journal as a space for spontaneous discovery or self-creation/autopoeisis; whether this be through pages from an actual notebook filled with doodles, mind-maps and beautiful scrawls, or pieces which explore the researcher’s thought-process and the genesis of an idea over time. … so to get everyone in the mood we asked Twitter folks to post pictures of their notebooks and beautiful scrawls with the hashtag #researchersnotebook to @stillpointLDN. Here’s a flavour of the cute and the curious, kicked off by our chief editor… send in your own over the next couple of weeks and add to the collection. As a devout notebook enthusiast I am enjoying the #researchersnotebook tag.